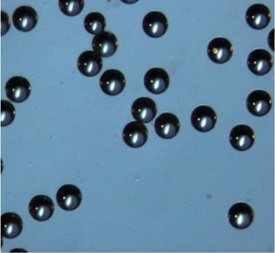 EPRUI Biotech has developed black microspheres based on patented technology which are composites of silica and polymer beads. These composite microspheres are blacker and darker than any other competitors’ in the market. Applied as spacer beads in liquid crystal displays (LCD), black microspheres can not only control the thickness of liquid crystal layer but also prevent leakage of light through the microspheres to improve the contrast of the LCD panel. When disperse black microspheres in a medium for the application, the dark color does not tarnish or leach out of the microspheres. 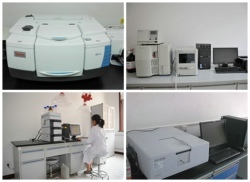 We accept customization for special particle size!